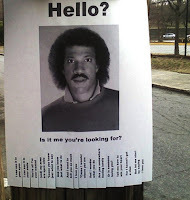 Modge Podge Project Vintage Phone Art – Hello, is it me you’re looking for? I spend a lot of time each day on the phone. In fact, talking is a big part of my job…which is a good match for my personality. Maybe that’s why telephones have always held a special place in my heart. So, I was thrilled when I found 2 rotary dial models, one in bone and one in black. I love that the rotary dials still turn. Ironically, I remember begging my parents to replace our old black phone with a fancy touch tone version, and now I love owning these babies. Nobody can walk by it without dialing a number or two. After seeing this pin 4 months ago from Modge Podge Rocks blog on Pinterest, I knew I had to find a phone to alter. This bone version was perfect, and only cost $6. The blog post actually showed a $45 Anthropologie paper phone, but suggested this project. As soon as I found the phone, I grabbed my Modge Podge and went to work! I love the final result. I decided to leave the dial and the cord in their original shape. Modge podge on a twisted cord? Ain’t nobody got time for that!